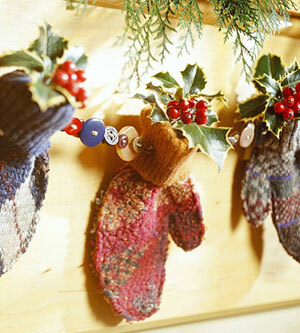 Put mismatched mittens and a button collection to use making this homespun holiday garland. Better Homes and Gardens has removed the instructions for this project but it is so lovely and easy to do that I am leaving the picture here to inspire you. With some beads, felt and fabric paint, you can make scrumptious looking gingerbread garland. 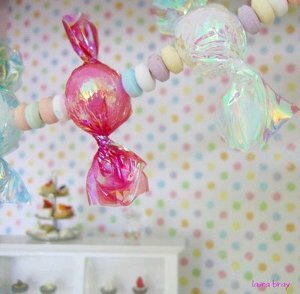 This Faux Candy Garland isn't just for Christmas. It can be used year round for parties. Folding and cutting instructions along with a full size pattern are provided to make this holiday garland. Think of all the places you can hang garland inside and outside your home . 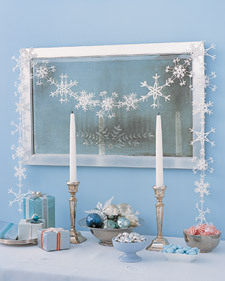 We are confident that you will find just the right garlands you need to deck your halls right here. 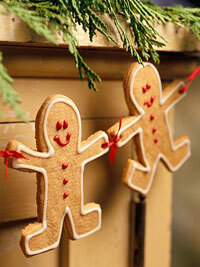 These gingerbread friends hold hands to create a delicious holiday decoration for your mantel. Make a glitter ball garland from Styrofoam balls, glitter and glue. Fun easy craft from Martha Stewart. 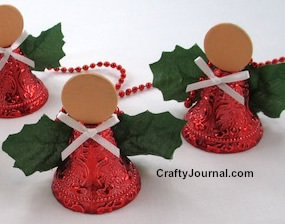 These angels start with bell garland from the dollar store. Crochet snowflake pattern is include for this wintery garland project. 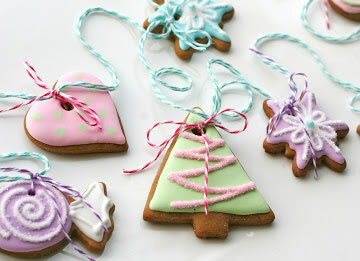 Made from real gingerbread, this garland will look and smell yummy! The instruction on this garland are not very detail but if you click the photo, you will see a larger photo and it is pretty self explanatory. You will enjoy this festive holiday swag well into the New Year! 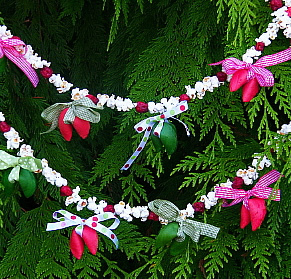 Learn to make old-fashioned holiday garland from popcorn and cranberries.